A beautiful and charming part of North East Yorkshire is the Vale of York. This large, flat area of land is boarded by the North York Moors and Yorkshire Wolds to the east and the Yorkshire Dales to the west making it the ideal base to explore the best of what Yorkshire has to offer. The historic walled city of York lies to the South and there a host of delightful market towns and picturesque villages that are ideal for couples and families alike, so whether you’re looking for a city break or a quiet holiday in the countryside the Vale of York is the perfect choice. The stunning scenery of the Vale and the range of attractions nearby are what inspire our holidaymakers to return year after year! From grand, stately homes such as Castle Howard (the setting of Brideshead Revisited) to the wonderful wartime museum Eden Camp, there’s plenty to keep the kids entertained. There are several large rivers in the area such as the river Ouse, the Swale, the Ure and the Nidd, making the area ideal for walkers, anglers and cyclists to enjoy. The Howardian Hills Area of Outstanding Natural Beauty to the north of the Vale also offer some of the most beautiful scenery in Yorkshire and provide many trails and breathtaking views to enjoy. Take a look at our Vale of York cottages below and start planning your perfect break today. 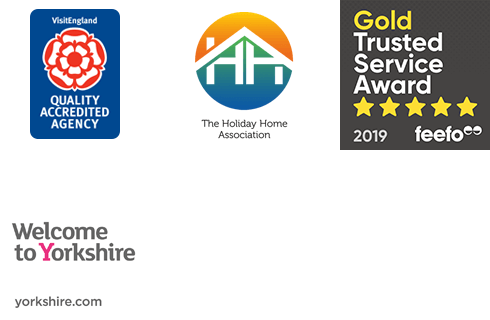 If you need any assistance in finding your ideal York cottage our friendly, helpful reservations team would be happy to help, simply give us a call on 01947 600700.